In Naples, pizza is not just a food, it’s a way of life. And even though it was invented centuries ago, the Neopolitans never stop re-inventing it. In that spirit, we’ve combined fire roasted tomatoes with basil and garlic to create a rich, smooth pizza sauce with a subtle, smoky flavor. Opened a refrigerated jar of sauce and gray smoke blew out of the jar. When put on the pizza, the sauce appeared dry with small holes forming as it appeared to be eating away at itself. Is this normal? Tasted strong, but okay I guess. D'oh! Awesome for Margherita Pizza at home! 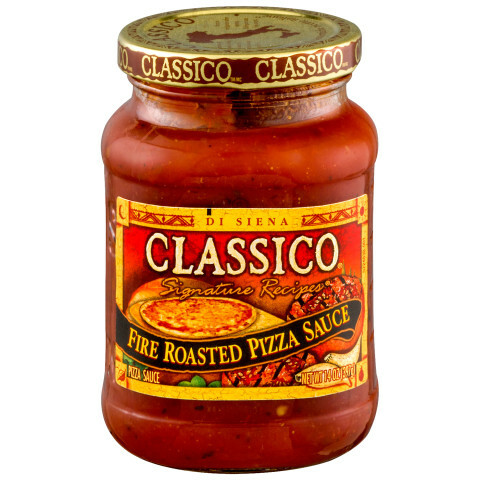 I used the Fire Roasted Pizza Sauce to make a Gourmet Margherita Pizza at home - perfect! I used a frozen dough ball from the grocer's freezer, a ball of fresh mozzarella, fresh basil leaves cut but not chopped, fresh garlic, crushed garlic, crushed red pepper, and real butter. I thawed out the dough. Sprayed a pizza pan with Olive Oil Pam. Spread the dough on the pan. Melted butter and crushed garlic in a cup in the microwave. Brushed the butter/garlic mixture on the dough and baked for 5-7 minutes. 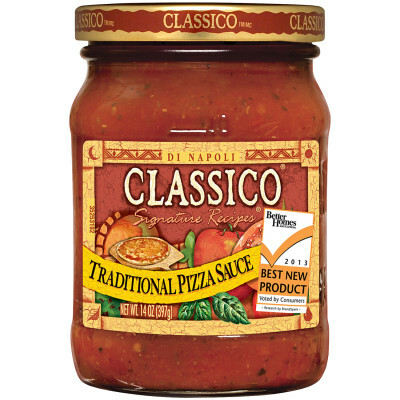 Take it out of the oven and spread the Classico on the dough. Place basil (separated) on the sauce. Sprinkle just enough crushed red pepper to give it a little bite. Slice fresh mozzarella and add to the pizza (separated). Pour a little of the remaining butter/garlic mixture over the top and bake the pizza for about 15-20 minutes, or to your desired taste. This sauce is wonderful! 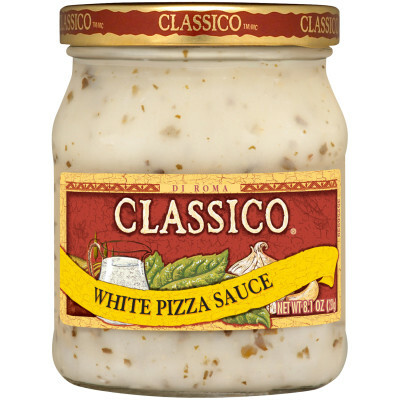 It is low in sugar AND tastes identical to a chain pizza restaurant's sauce. No more take out. I can make healthy pizzas with ingredients that are fresh and my family can personalize their pizza with their favorite toppings. This sauce really exceeded my expectations! Another home run from Classico!